UNEXT CONSULTANCY – Migration consultancy offering specialist migration advice and assistance. Whether you need full migration services or a DIY solution we can help you achieve your migration goals. UNEXT CONSULTANCY PTY LTD is a specialized HR Migration and Recruitment agency that connects highly skilled workers with employers looking to provide job sponsorship. We provide professional and timely advice to people who want to make their home in Australia. We assist through the whole process of sponsorship allowing for a stress-free and mutually beneficial service to both employers and the employees. We assist foreign investors to source quality businesses in Australia and provide them the required support such as market research, evaluation, visa documentation and business visa lodgement through our expert Registered Migration Agents. We can assist you quickly and easily identify skilled workers with the essential skills and attributes, including the ability to reduce advertising and recruitment costs, if you are considering sponsoring a worker from overseas or onshore temporary migrant. As Australian economy is booming and does not have enough skilled workers to meet the demand, this presents an ample opportunity for the potential workers around the world to look towards Australia for migration and find work. We can best be of assistance. Invest in Australia- Australia’s economic flexibility and potential provide a safe, low risk environment in which to do business. Talk to us for details for Business Investment visa. Increasing our client base by combining excellent customer service with a customer-oriented outlook. Registered Migration Agents are required to comply with a code of conduct in all professional dealings. At UNEXT Consultancy -Education & Migration we pride ourselves on ethical conduct, accurate & honest advice to our clients. 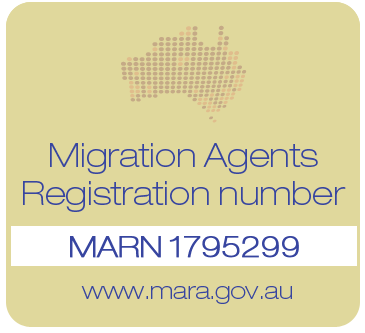 You can view here the code of conduct which regulates the required standards of conduct for Australian registered migration agents.